Featured as one of the 4 fintech startups worth checking out at Tech In Asia Singapore 2018, the team at GStar.AI is on a mission to empower the masses with algorithmic trading capabilities, which were previously exclusive to professional traders. Their ecosystem is simple to use and powered by cutting-edge AI technologies. Ultimately, the team has a strong desire to help the general public enter the gig economy and earn their income based on their own terms. 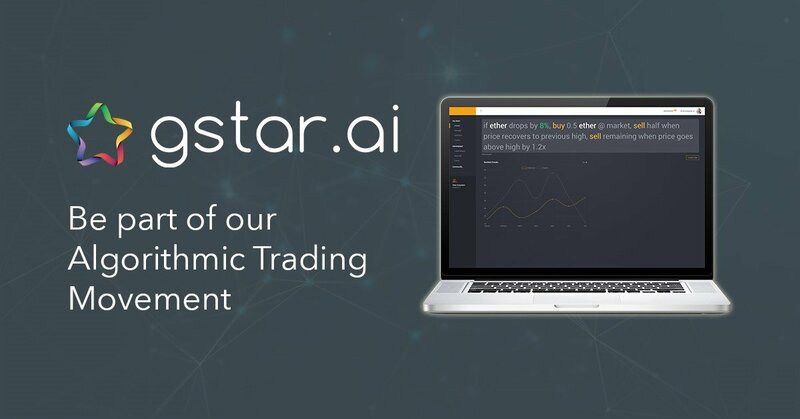 The GStar Ecosystem is designed allow expert traders to deploy trade ideas in plain English without the need for coding expertise, and create automated trading systems. These experts can further monetize their trade ideas in the GStar Ecosystem by licensing them out. This way, mass users who do not possess profitable trading strategies of their own, can license trading systems from top performing traders on the ecosystem, and profit from their expertise. At the end of the day, GStar.AI seeks to match expert traders with the public so that both sides can benefit – experts are able to build and monetize their trading ideas, while the masses are potentially able to reap profits. GStar Tokens promise strong growth, given the immense potential in algorithmic trading in the crypto space. Keen to learn more? Hop on to gstar.ai.